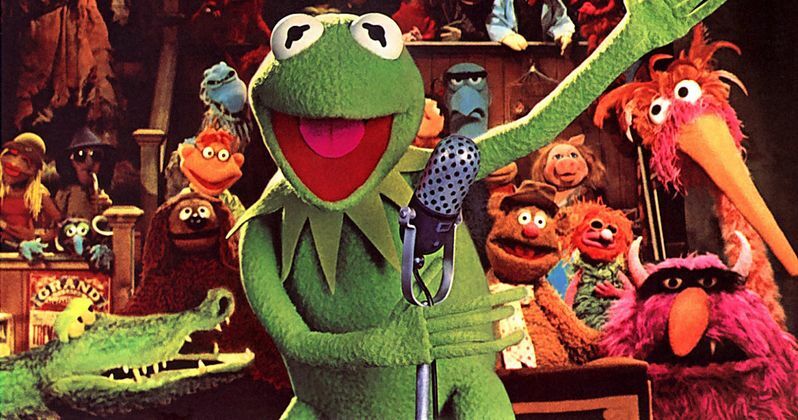 We've heard previously that Disney has plans for The Muppets on their upcoming streaming service Disney+, but now we've got some possible details on what that's going to look like. Reportedly, Josh Gad is working on a new series with Kermit and the gang alongside Once Upon a Time creators Edward Kitsis and Adam Horowitz. What's more, if this proves to be true, it will be taking the beloved Jim Henson creations back to the 80s. We must caution up top, as is always the case with things such as these, since it's not coming directly from Disney or anyone involved in the alleged project, it should be regarded as a rumor for the time being. That having been said, a new report claims that Josh Gad, Edward Kitsis and Adam Horowitz are working on a new series for Disney+ titled Muppets Live Another Day. The show is said to pick up right after the events of 1984's The Muppets Take Manhattan, putting it right in the sweet spot for 80s nostalgia, which is big right now. As for what we can expect in terms of story? The report states that Kermit will have disbanded from his Muppet counterparts, only to be reunited with the gang once Rowlf goes missing. Should that hold true, it sounds very much like it could be taking a page or two from the 1985 Sesame Street movie Follow That Bird. Beyond that, Disney likes Josh Gad, who has worked with them previously on Frozen and is also developing a new live-action Hunchback of Notre Dame movie with them as well. Plus, the Once Upon a Time duo delivered a huge hit for ABC, which is owned by Disney, previously. The team, at least on paper, makes sense. The Muppets have been going since their debut in 1976 on The Muppet Show. Since then, they have starred in several movies, various different versions of the show and have remained a fixture in the pop culture landscape. But it's been a while since the characters have had a platform that has made them relevant in a meaningful way. The last truly successful outing was 2011's The Muppets, which was both a huge critical success and hit at the box office. Its sequel, Muppets Most Wanted, not so much. Then there was ABC's failed The Muppets TV series, which took a behind the scenes approach, much like The Office, and was canceled after just one season. But this sounds like something fans could get behind and putting it on Disney+ could help offer some attractive content to subscribers, while also providing the series with a large audience. For the time being, there is no word on when production could ramp up on Muppets Live Another Day, nor is it clear how many episodes the show would run for, but it's expected that the series would debut sometime in 2020. Disney+ is set to launch later this year. We'll be sure to keep you posted as any further details are made available. This news was first reported by Splash Report.